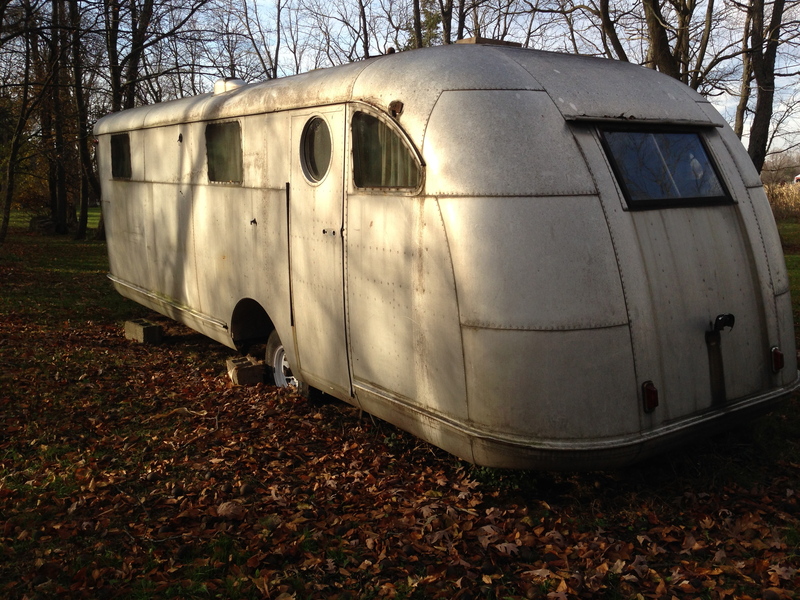 After a three week stint on the Tin Can Tourists classifieds board, a dozen calls from persons with moderate to almost desperate interest in the Spartan, it’s sold, and heading across the pond to France to become a vacation cabin in a private campground, with four other vintage American trailers, and a gorgeous stone cottage. We’re a little sad, but excited to because now we can start on the ’47 Manor that’s been waiting patiently in the wings. 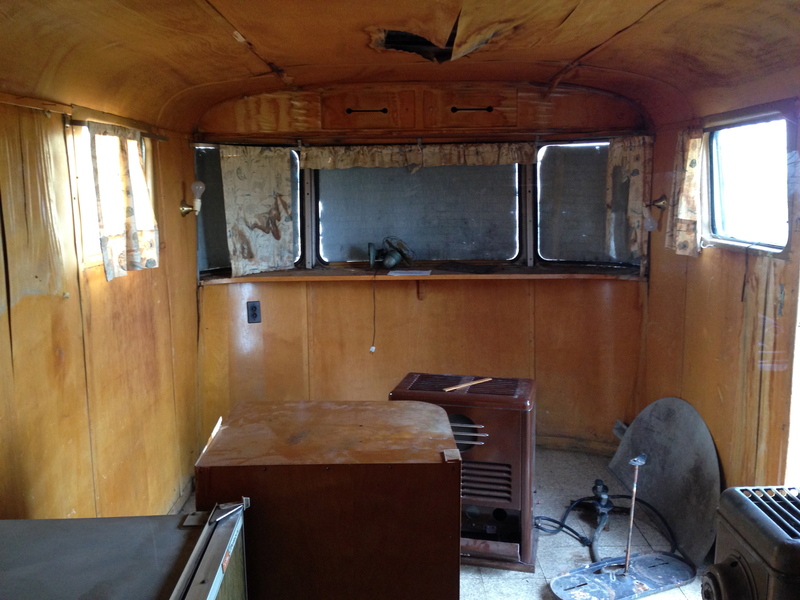 We’ve got big plans for this one, and while it’ll be hard to improve on the ’46, we think we have an interior layout that’ll be a knock-out, and the body has a few less bumps and dings, so it should be a suitable and worthy replacement. 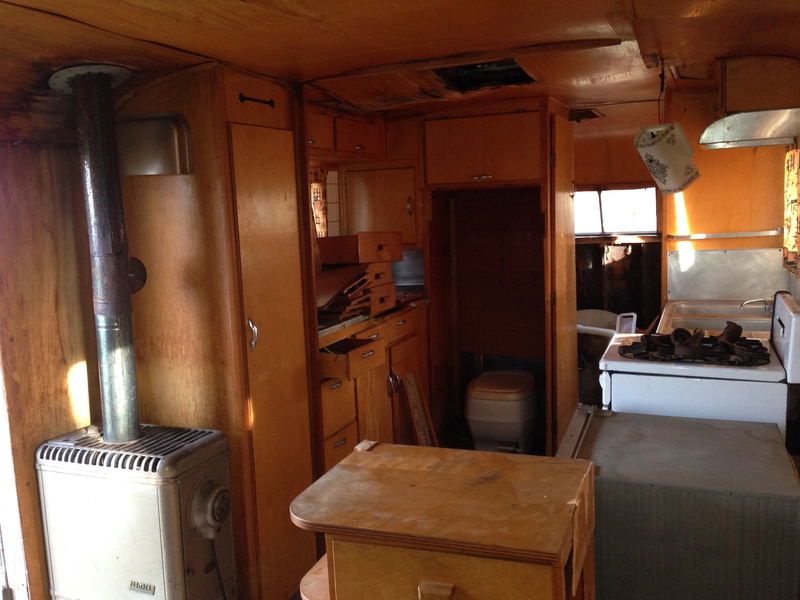 It also means we’ll be roughing it next season in the Tini-Home or the Del-Ray, but Kim says she’s going to re-cover the Del-Ray dinette cushions and make some cool curtains, which is all it needs to be done. 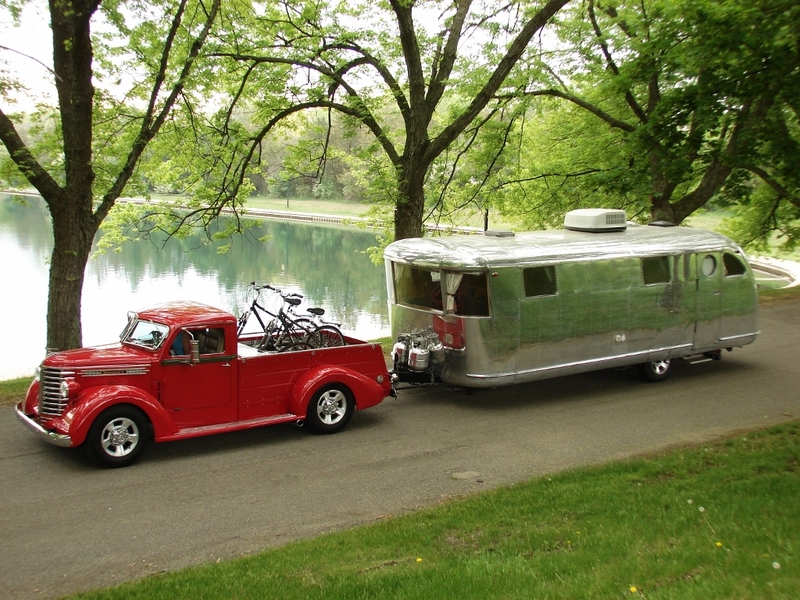 So we’ll have a choice of two nice, but smaller than we’re used to, vintage campers until the ’47 is done. 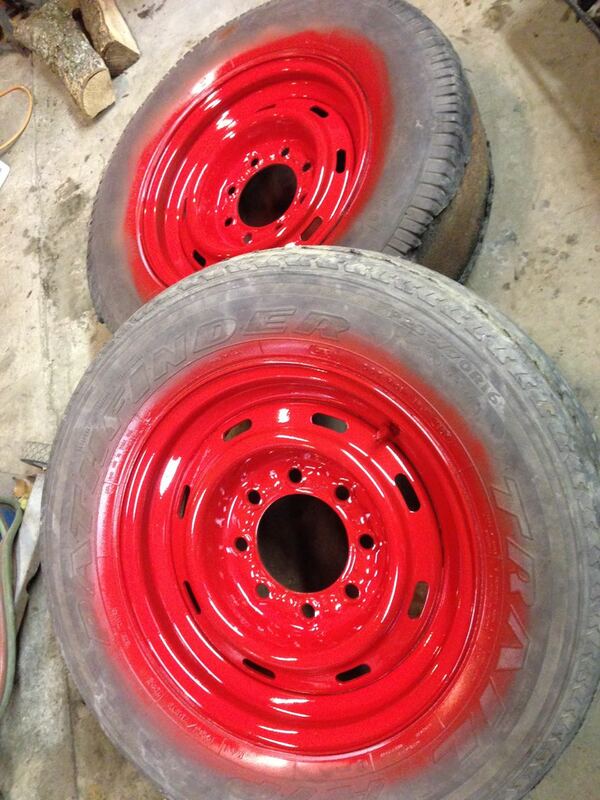 This afternoon I painted the three steel 16″ wheels that’ll be going on the Spartan to its new home in France. 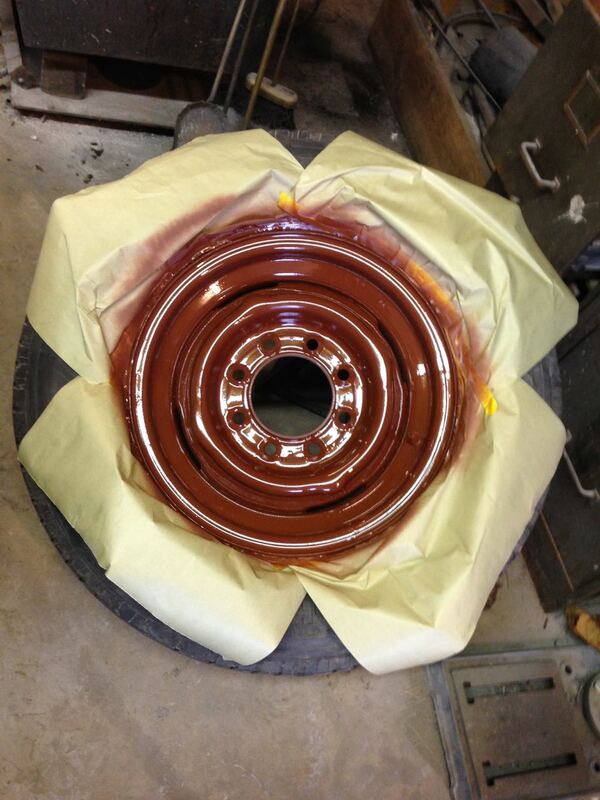 New tires will go on next week, and we have to empty it out and clean it. After that I spent some time hanging the 5.3 Vortec in Kims Riviera. I’m happy to report that with the transmission mounted, the engine still fits, although I will need to “clearance” the transmission tunnel a bit with a VERY big hammer to let it set exactly where it needs to. It’s close, but the trans needs to come up about half an inch, which will let the front of the engine nestle into the notched crossmember, which will allow the hood to close without a bulge to clear the intake. Nice. When that’s done, mounts made and the engine/trans resting where they should, I’ll let it set this winter and work on the T’Bird and the “new” Spartan. Thanks, always enjoy your stories. Thank you Bill, I take that as a real compliment! The words all of us in the family have been waiting for!!! Can’t wait to see my grandparents home away from home live again. Super excited to see this project get underway. Lots of pics please, I want to make a small photo album for the whole family to have. Is it done yet? I’m fast, but not THAT fast! 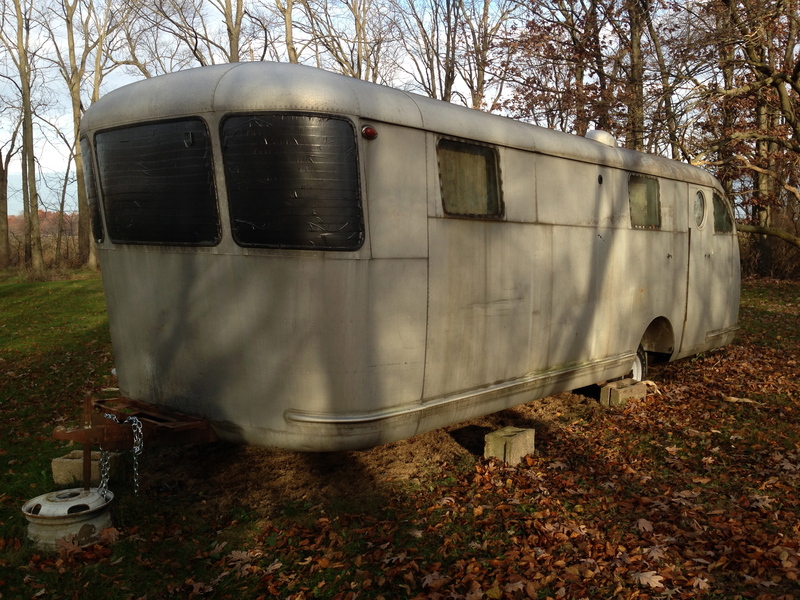 I plan to move it up near the shop (and the burn pile) next week and start stripping the inside. Lots of photos to come, I promise. We’re looking at this as our last trailer, and it being a cherished part of our family for a long time! Can’t wait to see the pictures of your progress.